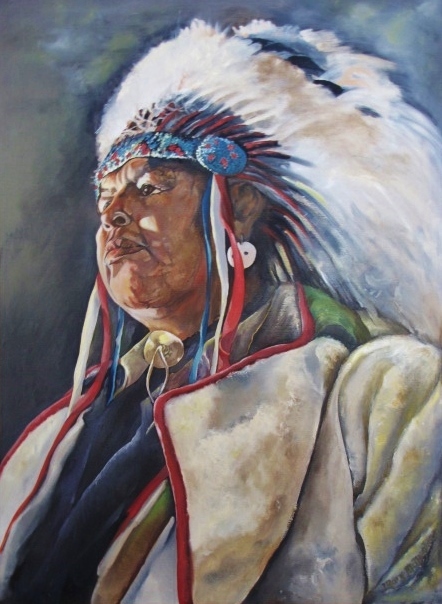 Years ago, we were fortunate enough to have a gracious man from the Bismarck/ Mandan, North Dakota area pose for our painting class. He was very careful not to let us see certain ceremonial garb and we learned a lot from him. This oil is from a composite of sketches I made during the class. I felt that the lighting helped to dramatize the pose and bring out the colors in the composition. You are currently reading Oil Painting from a Modeling Session at Dr. Mary McNaughton and Drawing.